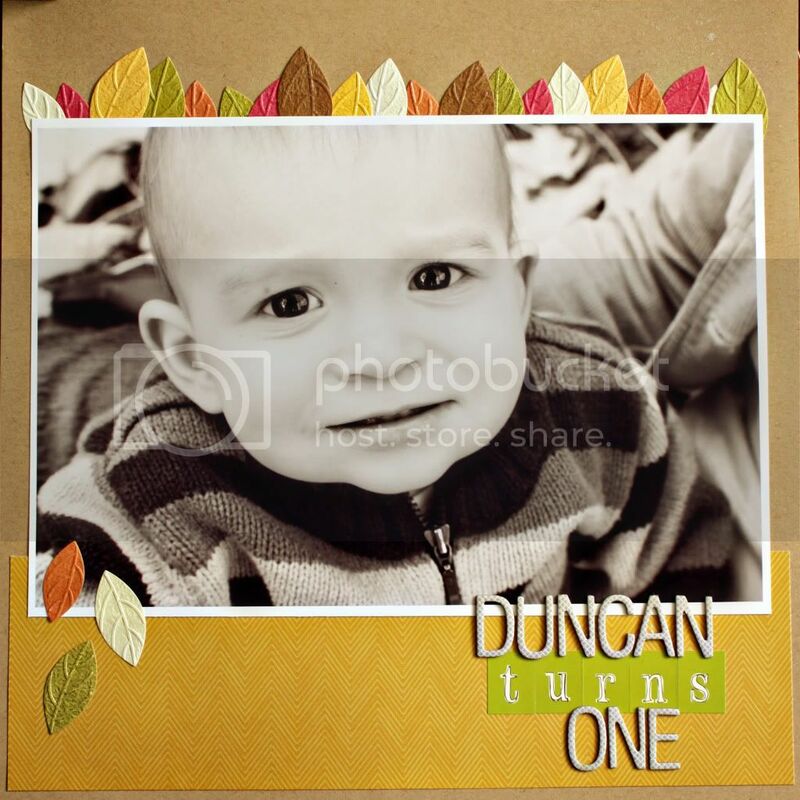 Made this quick page of my friend Amanda's little boy Duncan. I had so much fun taking pictures of him, plus the Amy tan leaves, I just couldn't resist using 2 whole packages. We're heading over to a friend's house for desserts a little later. Sigh, I feel like the holiday season is just slipping through my fingers. Too busy. Hoping to change that this week. This is amazing! Love how much space the black and white photo takes up! Love, love, love.